Our tasting trip started with a visit to the Lodi wine grape commission, a great facility with a knowledgeable staff and a broad selection of Lodi wines. If you have time for only stop in Lodi, this is your place. Not only can you taste a wide variety of Lodi wines but there is a restaurant and spa located next door. They’re not affiliated with the association but it’s pretty damn convenient if you’re in need of a meal. We were here to drink wine though so no hot stone or mud bath treatments for us. In addition to recommending a number of local wineries, Wendy, the wine association director, gave us a quick overview of an intriguing program called the “Lodi Native” project, an experiment where six well regarded local wineries are creating completely vineyard authentic wine. No manipulation of the wine is allowed, for example, adding yeast, acid, water, strong new oak flavors etc…just winemaking in its basic form, pure and simple. This is a growing trend in the wine industry which uses the native yeast and little to no additives. It allows the fruit to come forward without the sometime heavy hand of the wine making getting in the way. If you want to learn more about this “back to basics” method of making wine, here is a link to the Lodi Native web site. 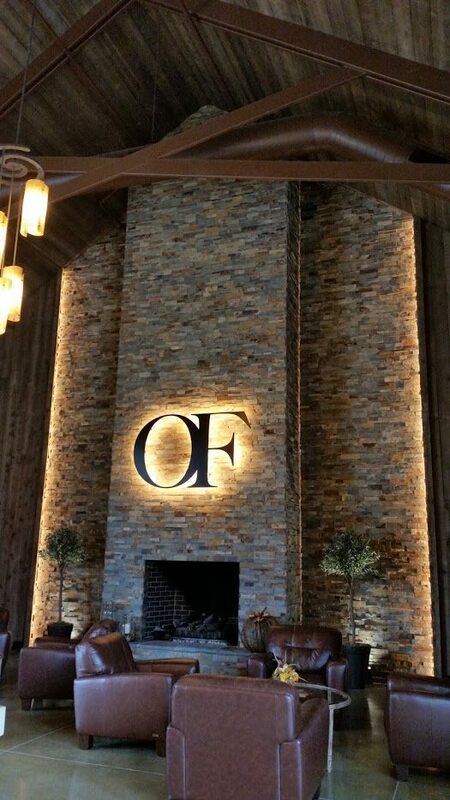 Our first stop was Oak Farm Winery, a newer facility and that is really just beginning to learn the characteristics of it newer facility, having opened just three years before. A number of their vines are also quite young so they aren’t really showing what their potential will be. Our tasting guide was Sierra, the young assistant winemaker who recently joined the winery. Oak Farm doesn’t specialize in any particular type of wine so they are happy to make wines originating in various regions of France and Italy, Spain and the lower regions of the Alps. They make roughly 20,000 cases of wine per year so they are just emerging from the boutique winery niche. Karen and I thought the 2016 Albarino was the best of their wines which won best in region at the California State Fair, Commercial Wine Competition. We have a real soft spot for Albarino so having one for our first tasting of the day is always a great way to start. They also make a couple of unusual wines. Fiano a fragrant white wine grape of the “Campania” area of Italy and one we’ve never seen (or heard of for that matter), Cortese – pronounced “Cor- Tay-Zee, also from Italy although it hails from South Eastern Piemonte, Italy (that’s Piedmont to the English speakers among us), a region in the Northwest of Italy surrounding Turin, just west of Milan. The sometimes fickle Northern Italian weather rarely produces ripe Cortese fruit leading to its reputation as a somewhat boring wine grape in Italy but the warm predictable California seasons are a perfect incubator for it. Oak Farms Cortese was grown in Clarksburg, which is quickly becoming known for growing a number of less common wine grapes. We love trying new Varietals but I dread seeing one on a tasting menu because that means extra work for creating a Varietal Encyclopedia entry on the information section of the web site…and the more obscure the wine grape, the harder is it to find information on it. Anyway, here is the brand new entry for Cortese. 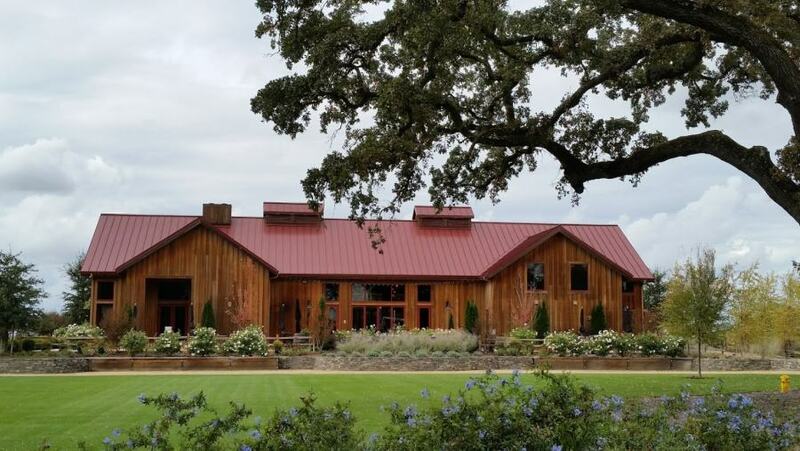 Oak Farms favorite red blend, called Tievoli (backwards for “I love it”), is made from 70% Zinfandel with smaller portions of Petite Sirah and Barbera. They are also making a 100% Petite Verdot although it wasn’t available to taste yet. If you’re looking for a good place to have a picnic and enjoy a bottle of wine, Oak Farm is a great setting. It has generous lawns, a large patio and a number of picnic tables.